This is my second post about Florence Foster Jenkins. The first can be found here. In it I wrote that there were plans to make a movie about her life in 2015 staring Meryl Streep and Hugh Grant. As it turned out, two movies inspired by her life were released in 2016. 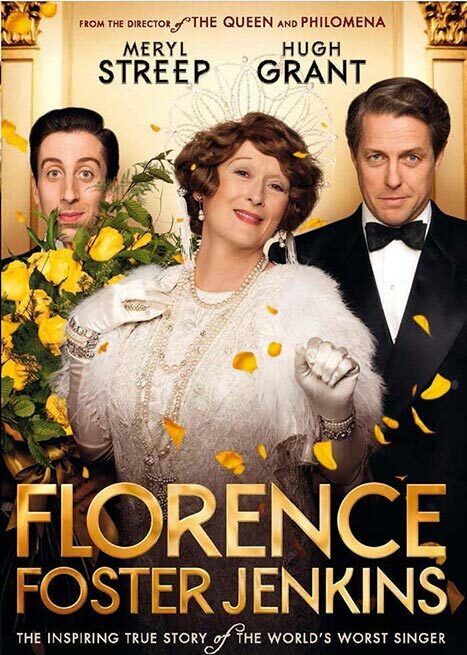 The first was a fictional French film called Marguerite, a 2015 comedy and drama film directed by Xavier Giannoli and written by Giannoli and Marcia Romano, loosely inspired by the life of Florence Foster Jenkins. It received eleven nominations at the 41st César Awards, winning for Best Actress,Best Costume Design, Best Sound, and Best Production Design (source, Wikipedia). Here are two trailers for that movie. The second movie is the one mentioned in my first post. Not only were two movies inspired by Florence released this year (2016) but there are two books to be released this year. The following is an extract from the first book – Florence Foster Jenkins: The Life of the World’s Worst Opera Singer by Darryl W. Bullock (to be published on 7 June 2016). The second book is due to be released on 12 July 2016 according to Amazon.com and is by two authors. I will quote from it after the trailer for the movie. In their book Florence Foster Jenkins, Jasper Rees tells her extraordinary story, which inspired the film starring Meryl Streep and Hugh Grant, and directed by Stephen Frears. 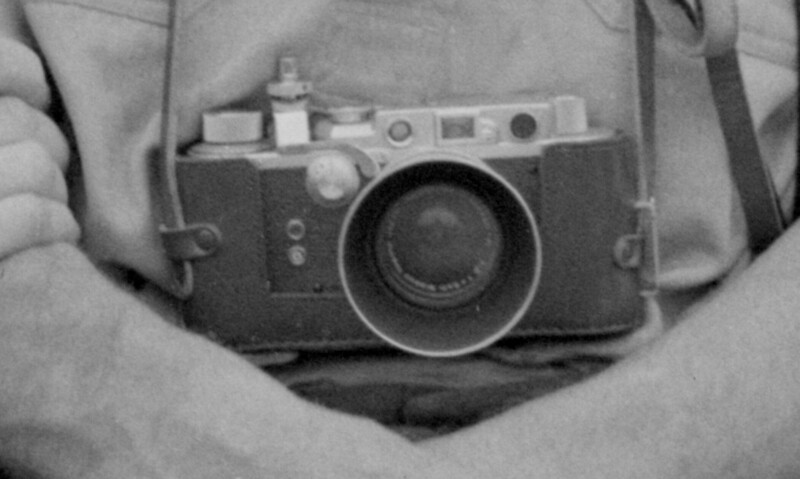 The book includes Nicholas Martin’s funny, moving and inspirational screenplay; and archive photographs from various arhives and collections, as well as colour stills from the movie. On the evening of Wednesday 25 October 1944 something like two thousand people were shut out of Carnegie Hall. Crowded onto the New York City sidewalk, some waved S2o bills in an effort to persuade their way in, even though the most expensive tickets, long since sold out, officially cost S3. They could only watch as Cole Porter walked through the doors of the most hallowed concert hall in America, there to be joined by the much-loved superstar soprano Lily Pons, and the queen of burlesque Gypsy Rose Lee. 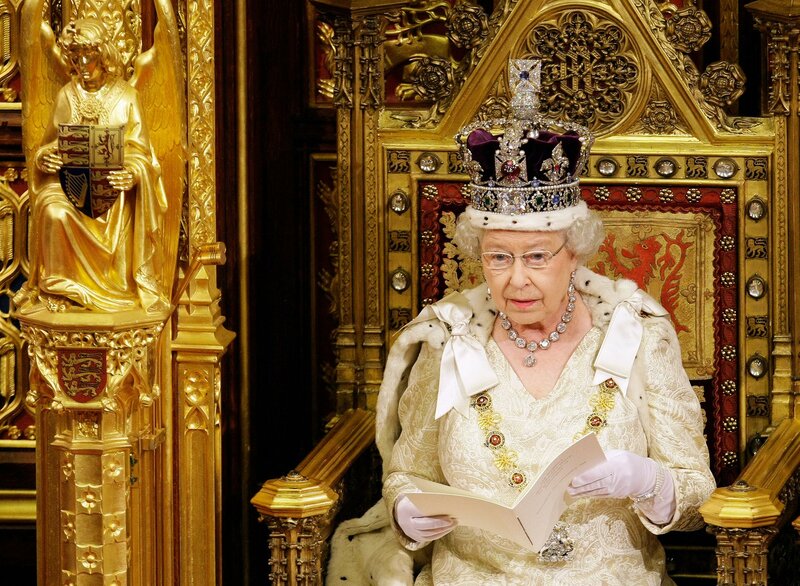 Some say they saw Tallulah Bankhead swan in too. The old hall also swarmed with journalists eager to witness a phenomenon. The night before, Frank Sinatra was on the same stage at an election rally in support of President F. D. Roosevelt. The night after, the New York Philharmonic Orchestra performed under the baton of Artur Rodzi’nski. But on 25 October it was the turn of Florence Foster Jenkins, a sizeable woman in her mid-seventies who had recently released a series of recordings. It was these – including her versions of Mozart’s Queen of the Night aria and Delibes’s “Indian Bell Song” – which had created such a feverish thirst to be there. The evening has no real right to be remembered on so important a day in the history of the world: 25 October 1944 is such a pivotal date that there is a whole book about it – One Day in a Very Long War by John Ellis. In the Philippines the Battle of Leyte Gulf became the largest naval conflict in history, in which for the first time the Imperial Japanese Navy deployed kamikaze suicide bombers against US warships. In Europe, the last Romanian city under German occupation was liberated by Romanian and Soviet forces, who also pushed the Wehrmacht from their Norwegian base in Kirkenes, while Bomber Command and the US Air Force took part in daylight raids against Essen, Homberg and Hamburg. Meanwhile, back in New York, the cover of the recital programme featured a photograph of a stately lady wearing, over short permed brown hair, a tiara with a diadem mounted in the centre. A heavy necklace plunged past her low neckline towards two tentatively clasped hands. On her left hand was a thumb ring. Her eyes were beady and her jaw firm. On a mid-blue background, and under black capitals blazing her name, were the words “Coloratura Soprano”. Inside the programme, bona fides advised of previous triumphs. Madame Jenkins, as she liked to be known, “possesses a marked individuality in style and piquancy in her interpretations”. So reported the New York Journal-American. A Dr B. B. James (publication unattributed) confirmed that a recent audience in the federal capital “included persons in the political, cultural and intellectual society of Washington”, all of them “critically minded hearers”. The New York Daily Mirror hailed “a personage of authority and indescribable charm” whose annual recitals “bring unbounded joy”. These notices were in accordance with more or less everything that had ever been written about “Lady Florence” (another of her preferred modes of address). 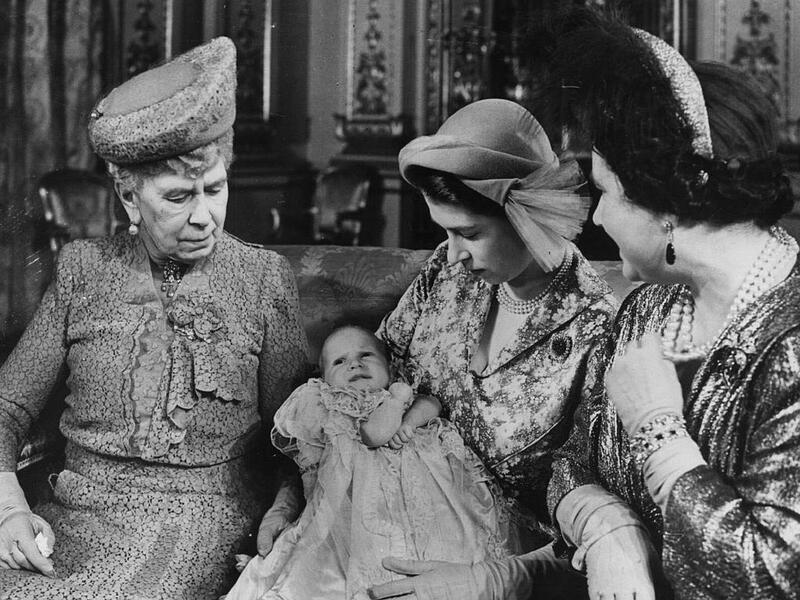 She had been singing to select audiences since the 1910s, mostly in the protected world of the women’s clubs which flourished in great profusion in New York City from the turn of the century. 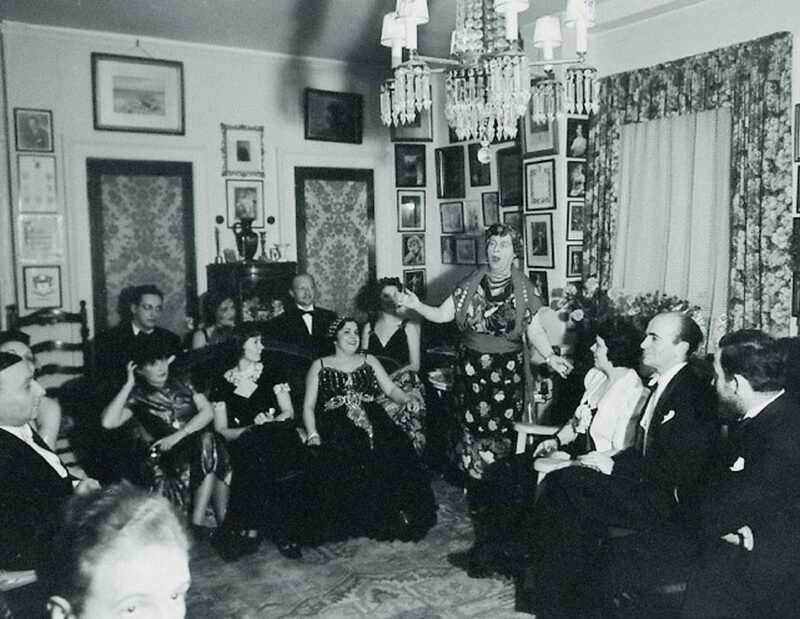 In 1917 she founded her own society and called it the Verdi Club, to whose members she later began singing in an annual recital in the ballroom of the Ritz-Carlton Hotel. Press coverage was not solicited, other than from the Musical Courier, a trade paper whose friendly discretion could be relied upon, indeed bought. The recitals acquired a cult following and, apart from the odd exuberant heckler, for years no one publicly said the salient and obvious thing about Florence Foster Jenkins: that she was a remarkably talentless singer. Instead they cheered and clapped and stifled their guffaws by stuffing handkerchiefs in their mouths. The next morning news spread far across the United States. “Mme Jenkins, if you haven’t heard, and the chances are you haven’t, is a lady who gives song recitals because there’s no law against it.” That was the Milwaukee Journal. “She takes the songs that bring out the best in Lily Pons and permits them to bring out her worst. And the worst of Mme Jenkins, you are herewith assured, is something awful.” Earl Wilson of the New York Post reported that Florence Foster Jenkins could “sing anything but notes”. “Hey, You Music Lovers!” ran the headline above his report. “I Heard Madame Jenkins. “ Describing her recital as “one of the weirdest mass jokes New York has ever seen”, his column – he was not a music journalist – pondered the discrepancy between the serious demeanour of the performer and the unbridled jollity of the audience. On the way out Wilson bumped into a man he described as the singer’s personal representative, whose name he transcribed as Sinclair Bayfield. “She loves music,” said St Clair Bayfield, an Englishman in his late sixties who for many years had been a minor Broadway actor. There was only one question Wilson could ask next. And yet Florence was also a complete one-off. It is almost always overlooked that she was a passionate, serious and hugely knowledgeable lover of music, and an impresario who for thirty-five years was a very significant patron of young talent in New York. Some of the burgeoning stars of opera were grateful for her friendship. If her pursuit of audience approval manifested an unconscious need to heal some sort of psychic wound – and it certainly looks that way – the cause lies somewhere in what went before. Earl Wilson passed on a story he heard that Florence’s musical ambitions were blocked by her parents and then her husband, only to be liberated after all of them had died. It’s a neat fairy tale. But is it a true fairy tale? In general terms, hers is a story of her time. The music in the following playlist is from the movie soundtrack. Track 1 is my favourite. 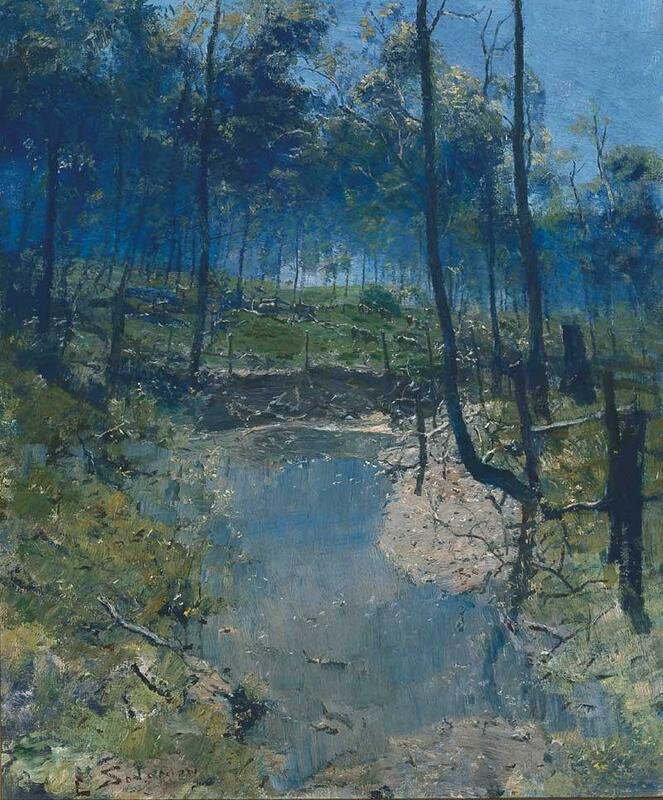 It is lushly orchestrated, beautiful and yet purveys a deep feeling of sadness. Track 2 bring me back and destroys the mood and the feeling of sadness. Here we have “Florence” in all her glory in stereo and hi-fi sound. I have placed track 7 (The Bell Song sung by Aida Garifullina) before track 8 (The Bell Song sung by Meryl Streep as Florence to give you a clear comparison of Florence with a good singer. Track 9 is Florence herself with Cosme McMoon accompanying her on the piano. Track 13 is a sequence where Florence is dreaming and in the dream she is singing like she thinks she does. It gives Meryl Streep the opportunity to show her own singing ability. I really enjoyed her in Mamma Mia. The following is the beginning of the screen play – the beginning of the movie (the titles) and possible titles to be show on screen to show the time and location. I did not understand the use of (beat) in the screenplay so I did a Google search and Wikipedia advises “A beat is the timing and movement of a film or play. In the context of a screenplay, it usually represents a pause in dialogue. In the context of the timing of a film, a beat refers to an event, decision, or discovery that alters the way the protagonist pursues his or her goal.” And I suppose (cont’d) indicates that Bayfield (played by Hugh Grant) is still continuing with his remarks to the audience. Bayfield, the showman in tails, is on stage before a 150-strong AUDIENCE of well-to-do New Yorkers. To one side of the stage, a small orchestra of about 10 MUSICIANS. To the other; a sign which reads “The Verdi Club” Bayfield, 50s, a macho-camp man of the theatre, is in his element. BAYFIELD ‘Swounds, I should take it, for it cannot be, But I am pigeon-livered and lack gall, To make oppression bitter, or ere this, I should have fatted all the region kites, With this slave’s offal. Bloody, bawdy villain! Remorseless, treacherous, lecherous, kindless villain! O vengeance! The Audience is a little taken aback by his theatrics but applause begins to build. BAYFIELD Thank you, thank you very much. Thank you. That was of course the speech of Hamlet’s, from a play I was lucky enough to perform in on several occasions, though not as yet in the principal role. The plush velvet curtains open to reveal the music room of a grand plantation mansion. Accompanying music. The Audience gasps at the splendid sight. A PIANIST, 50s, playing Stephen Foster dressed in frock coat, is tinkling away at the piano. The Pianist tries to write a few notes on the score but sighs in frustration before screwing up the sheet and tossing it on the floor, where it joins many others. He buries his head in his hands – he’s a terrible actor. The Audience laughs. BAYFIELD (cont’d) But wait, what is this? At the side of the stage, STAGEHANDS heave on ropes. The Audience gasps as FLORENCE FOSTER JENKINS, 65, dressed in a white gown, pouf hat, and wearing magnificent white wings “descends” from on high holding a golden harp. She really is an extraordinary vision. BAYFIELD (cont’d) It is the Angel of Inspiration, sent from on high! With her index finger extended, she touches the Pianist on the temple, bestowing upon him the gift of Inspiration. The Audience gasps some more and applauds. BAYFIELD At last! Stephen Foster can write his song! The Audience love this and clap along. As the song reaches its climax, Foster is joined onstage by actors playing his FAMILY and SERVANTS. The Stagehands struggle with their ropes. Florence is quite a weight! STAGEHAND #1 Hold her! Hold her! Keep her steady! The song finishes with a flourish and Bayfield steps centre stage as the Audience applauds. BAYFIELD Bravo! Bravo! 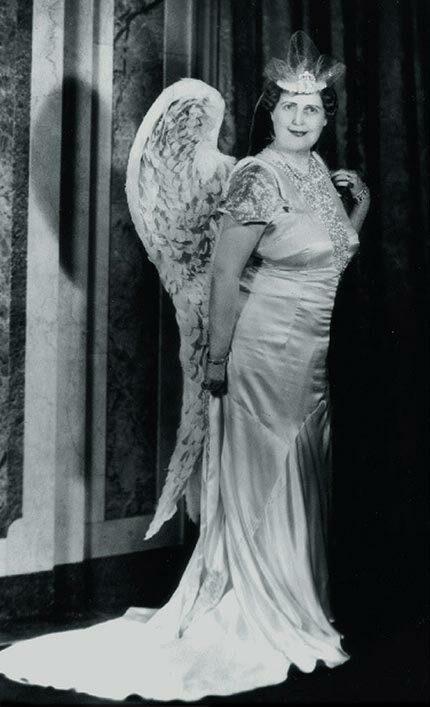 The Angel of Inspiration – Madam Florence Foster Jenkins! The curtain falls to loud cheering and enthusiastic applause. 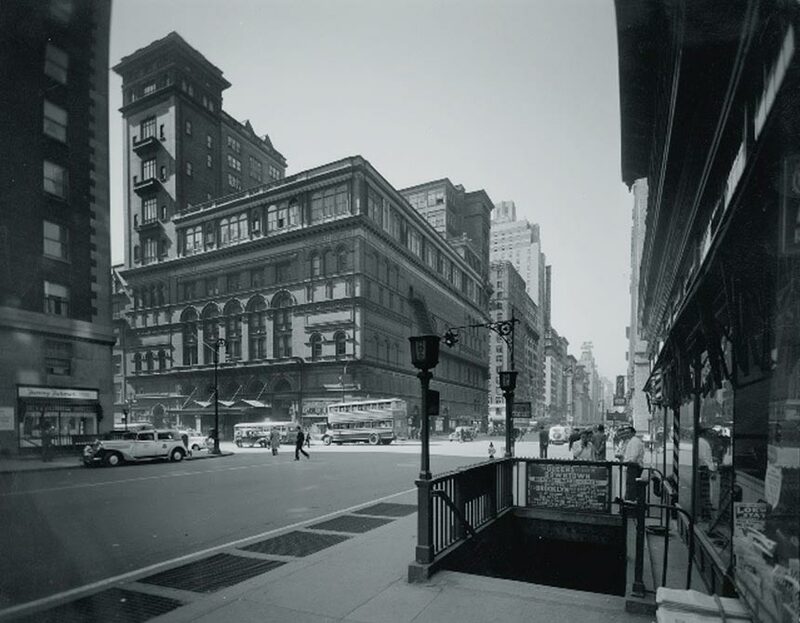 The address of Carnegie Hall is 881 7th Avenue – but the front seems to be in West 57th Street. I’m intrigued by the double-decker bus crossing the streets, and the design of the taxi parked across the street (7th Avenue) from the camera. Nicholas Martin has worked as a croupier, a labourer, a bouncer and a barman. In his early twenties he worked at sea as a deck hand and later as a yacht captain. He then worked as a journalist, contributing to The Sunday Times, the Guardian and various magazines, before graduating from the National Film and Television School as a screenwriter in 1992. He wrote extensively for TV before writing Florence Foster Jenkins for Pathe. He lives in London. Jasper Rees is an arts journalist and author who has contributed regularly to many British publications. His books include I Found My Horn: One Man’s Struggle with the Orchestra’s Most Difficult Instrument (published in the US as A Devil to Play) and Bred of Heaven: One Man’s Quest to Reclaim His Welsh Roots. He lives in London. Although not certain which “she” was to be the subject of your promised next post … I guessed it could only have been the one and only superstar of “stage an’ scream”. All has made more fascinating reading on Dear Flo’, however, I will anaesthetise myself with wine, spirits and a beer chaser before I subject myself to (enjoy?) the genuine mp3 recordings of Madame’s ‘offal’ notes. Have you been to see Meryl’s movie yet? Hope the recent tempestuous weather hasn’t treated you too badly. I haven’t been to the movies since the mid-1970’s so I’ll be waiting for Meryl’s movie to come on TV or stream or whatever is the thing then. I’d like to see the other movie too. The weather here has been very cold, and we’ve had a bit of rain down my way, but it was mostly sunny last week without any warmth. I have put a “hold” on the Marguerite DVD and the Florence Foster Jenkins book at the library, so will see if the DVD has been scratched and smeared to be unplayable as many of the on loan stock is these days. Hopefully this particular DVD is not on the highly borrowed list!? The Glenelg Cinema went bust and demolished some years back and after the usual brouhaha (gee didn’t think that would be in the standard on demand spelling dictionary!) by nostalgic people who weren’t part of the paying public whilst it was ‘alive’ … Taplin Developers have built a new 6 (or 8?) mega-cinema complex next to Lims on Partridge St. It has recently opened and now we will wait for them to milk the Council of special grants to justify their not entirely unanimous decision to let them build it … until it flops for the same reason as the one before. I do love a good or even moderate movie but we are also not cinema goers. Sadly Foxtel Movie channels were deleted some many years ago from our subscription for cost cutting reasons, along with dedicated Sports Channels. We do get TCM (Turner Classic Movies) channel as part of our subscription and the occasional moderate ol’ movies on a coupla other channels … so long as pre-1965s movies are OK, our needs are satisfied. Well, Ralph, I hope the DVD you’ve your name down for at the library will turn out to be an undamaged playable copy. After reading you comments I did a Google maps street view walk along Jetty Road from where I think the Glenelg Cinema used to be, to Partridge Street and to the new cinema complex next to Lims. I’m glad you told me what is was as otherwise I would have thought it was a parking centre with looks on a par with some of the public buildings they have erected in the Melbourne CBD in the vicinity of the Arts Centre and Federation Square. I have just finished reading the Jasper Rees book on Lady Florence and I found it riveting … got thru it in record time and enjoyed every anecdote (real or speculative). The most revealing new information from general comments / impressions from her stories so far was that her musical extravaganza involvement that brought genuine (selective) audience praise began in the Ladies Clubs of the time from just before WW1 (proving huge donations and support for Red Cross and other charities and aid for the soldiers at the front with particular aid to injured and disabled return soldiers that continue thru into WW2. She was truly a dynamo in organisation and commitment and especially musical knowledge of great variety of styles. All this gathered a huge high class following of Ladies Club members and international fledgling and proven artists as dedicated fans … all this before she started actually singing as I understand it. It is strongly suggested that her mid-20’s to 30’s singing voice was not that bad but that age and terrible side-effects to ongoing necessary arsenic and mercury treatments (pre-penicillin era) did much to defeat her actual abilities compared to her dedication and super strong self-belief formed in her earlier years. I had not truly appreciated that much of her infamous performance were made after she turned 60 and that her last performance (or so the book says) was when she was 75 or 76 I think and that she died within the month after, from a combination of exhaustion and (so the book says) emotional devastation from the sole vindictive (but perhaps most accurate) Review of her Carnegie Hall performance by the New York Post guy. Haven’t got the DVDs from the library yet and I imagine that the Hollywood treatment might be a bit inaccurate now that I have this book to know that her whole life story was full of vague blanks and self-aggrandisement. As you copied some of the Rees / Martin book in your post, can I assume you read the book too. Did you find the extensive insights into the world of Ladies Clubs for high society wives with much spare time and spare funds as fascinating as I did? My best (suggested) quote from Lady Florence was … some people may say I couldn’t sing, but no one can say I didn’t sing!” … can’t quite believe Martin’s treatment of it as her final deathbed utterance on his screen play. Thanks Ralph, for your interesting review of the Jasper Rees book. You mentioned the world of Ladies Clubs “for high society wives with much spare time”. It reminded me that we all had a lot more spare time in the days before TV and computers and the internet and smartphones, Facebook, Twitter and all those time-eating and time-wasting “necessities” of life these days.